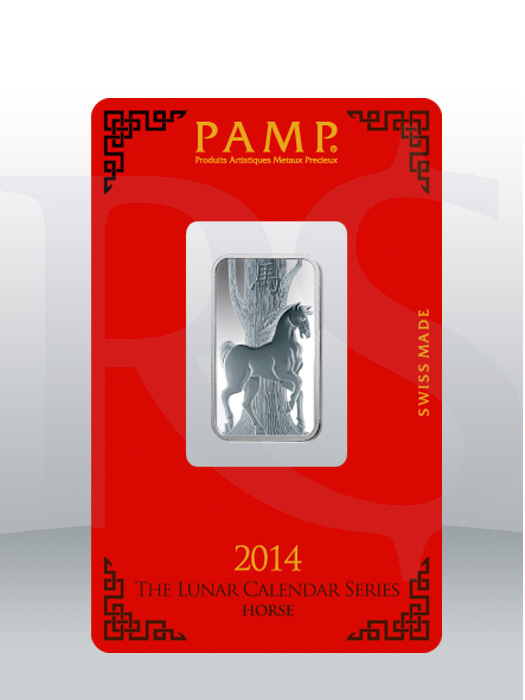 Each PAMP Suisse Lunar Horse Silver bar contains 10 grams of .999 Fine Silver. 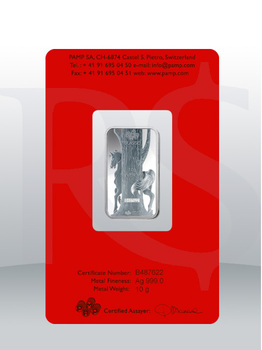 Each bar bears a unique serial number as well. 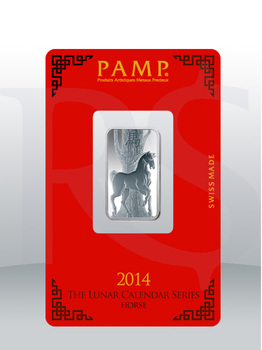 The PAMP Suisse Lunar Horse 1 oz Silver bar measures 31mm x 18mm with thickness of 1.81mm.